“We can’t write about this beer without first talking about Cigar City and their brew master, Wayne Wambles. Cigar City are an award winning brewery based in Tampa, Florida and have consistently been producing great beers since first opening their doors in 2008. They particularly specialise in the use of wood in their beers and we wanted to capture this in our brew. Cue Wayne a quiet, unassuming brewer who has similar home brewing beginnings to Ryan. Wayne worked with us on an indulgent recipe that would be like nothing we’ve done before – instead of putting the beer in wood, we’d be putting wood in the beer. 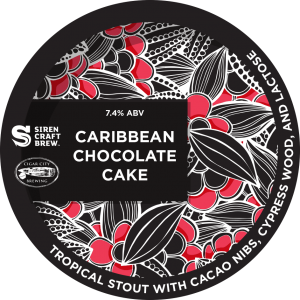 Billed by Darron as “the most expensive beer in the world… ever” this Tropical Stout is packed with experimental hop varieties, specially imported Dominican Cacao nibs and about a forest worth of Cyprus wood. 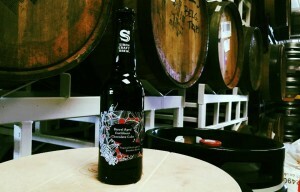 This beer is a true example of what can happen if you leave two hugely creative brewers with complete free reign – it’s the ultimate anti-recession blockbuster! 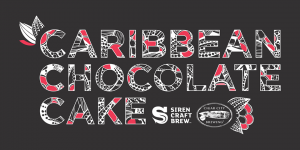 A limited amount of barrel-aged Caribbean Chocolate Cake will be available in bottles.